Kyoto-based green tea store Itohkyuemonーwhich first opened its doors at the end of the Edo periodーbegan the Matcha Meets Chocolate Fair 2019 on January 15. Chocoholics can look forward to indulging in a variety of different chocolates from raw chocolate to bon bon chocolates, gateau chocolates and more – all made with matcha and houjicha teas from Uji. There are over 10 matcha and houjicha chocolates to choose from including strawberry matcha truffles, matcha chocolate senbei, matcha chocolate sake and more. There is also a new eye-catching matcha parfait made with dark chocolate and cocoa meringue and topped with raw matcha chocolate, houjicha chocolate and strawberry matcha truffles. Thinly chopped chocolate cookies sit below the matcha ice cream, matcha jelly and rice flour dumplings. The layered ingredients give a variety of textures including chewy and crunchy. 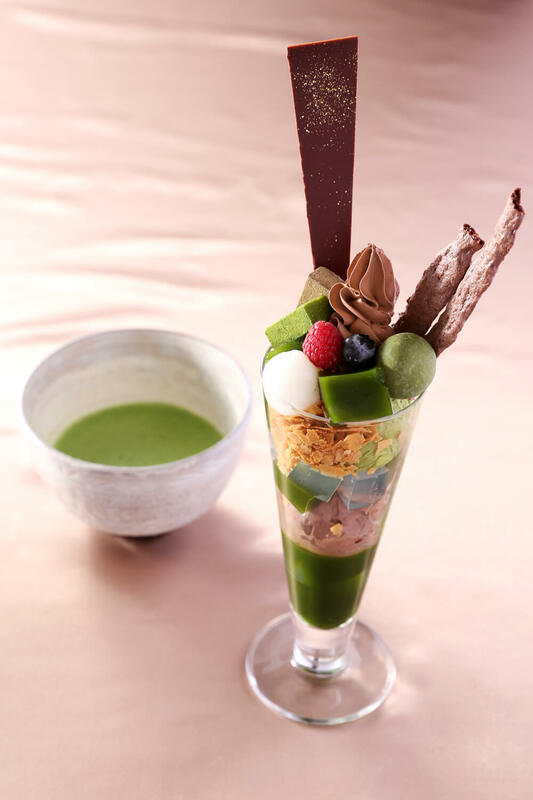 When ordering the drink set, the parfait comes served with a choice of Uji matcha, matcha cappuccino or matcha espresso. 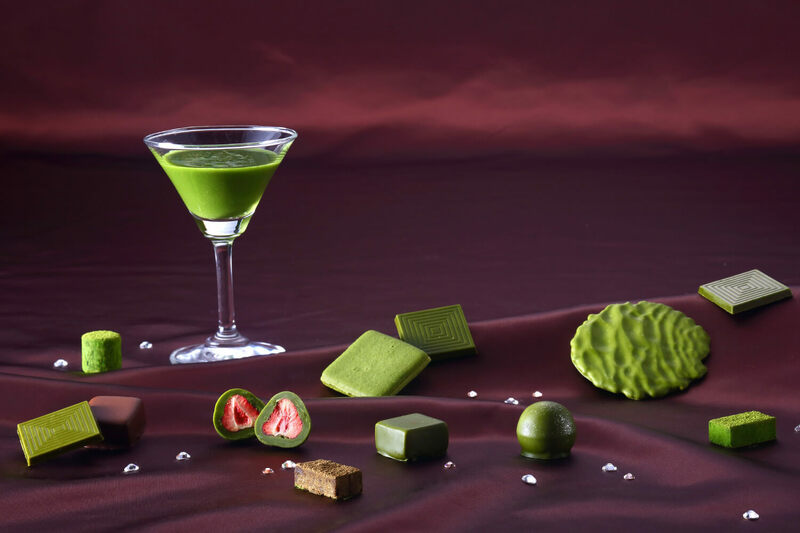 Enjoy the perfect combination of matcha and chocolate at the Matcha Meets Chocolate Fair.